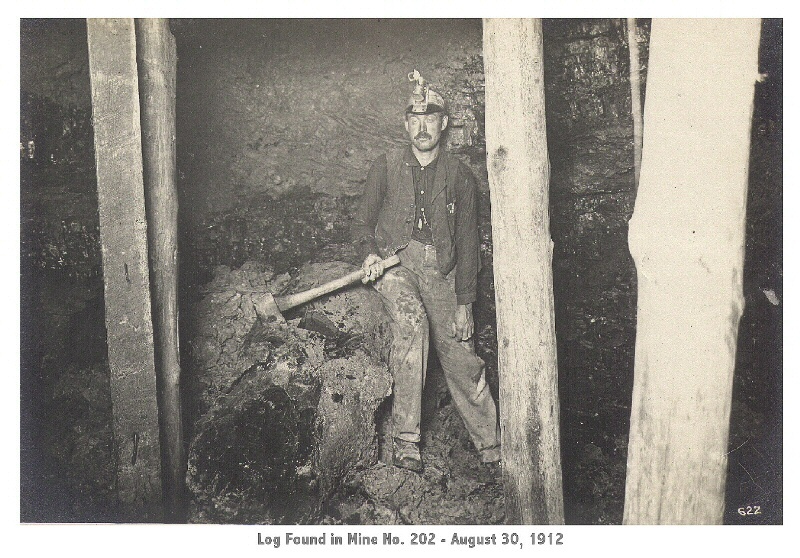 Log found in Mine. No. 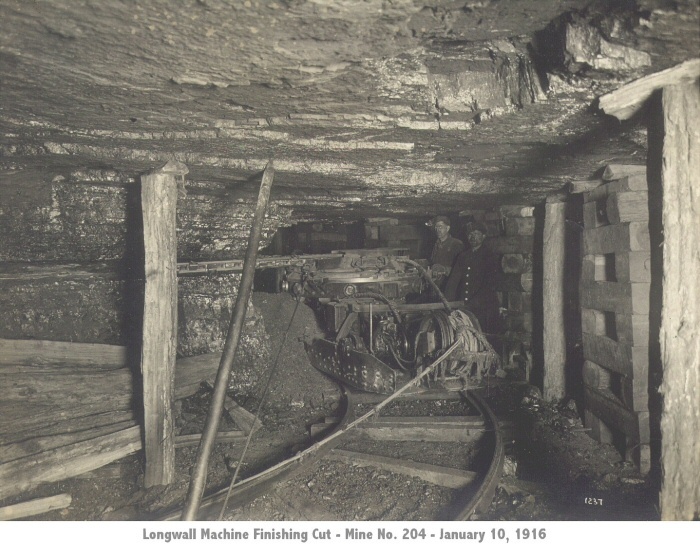 202, August 30, 1912 in Letcher Co.
Longwall Machine finishing cut - Mine No. 204, January 10, 1916. 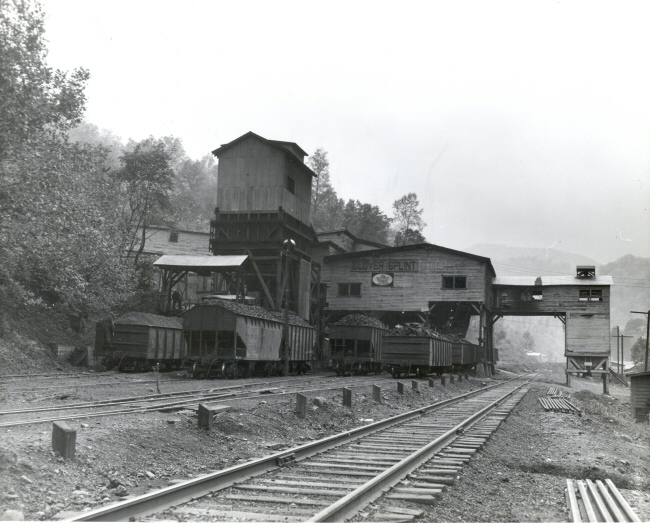 This photo was taken at Lynch, Kentucky in the 1950's for U.S. Steel, of Mine No. 32. 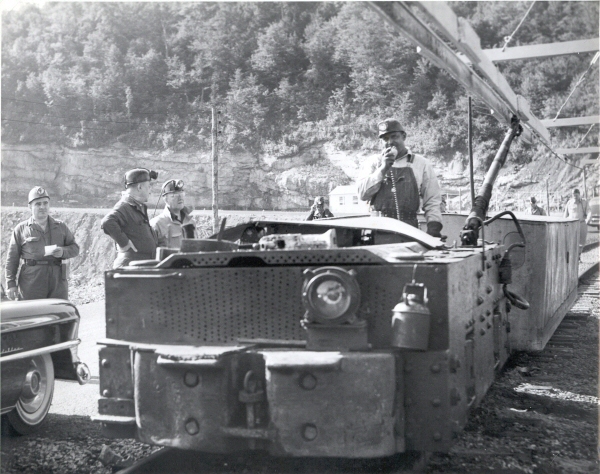 University of Kentucky Mining Engineering Students visiting a Beth-Elkhorn Mine in Letcher County, KY in 1949. 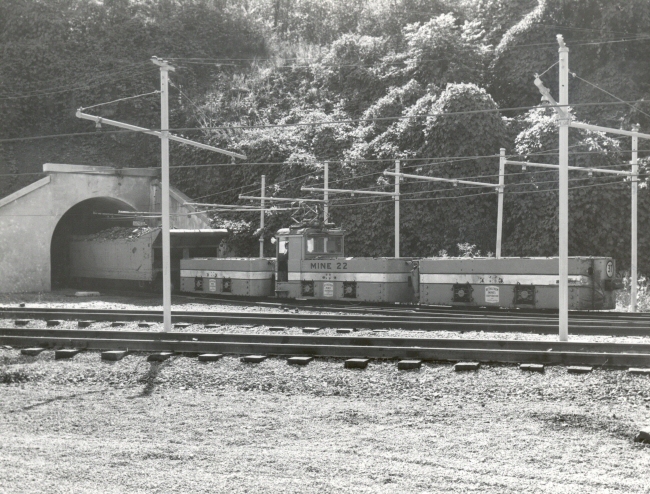 This photo shows a mine locomotive hauling coal out of a mine. 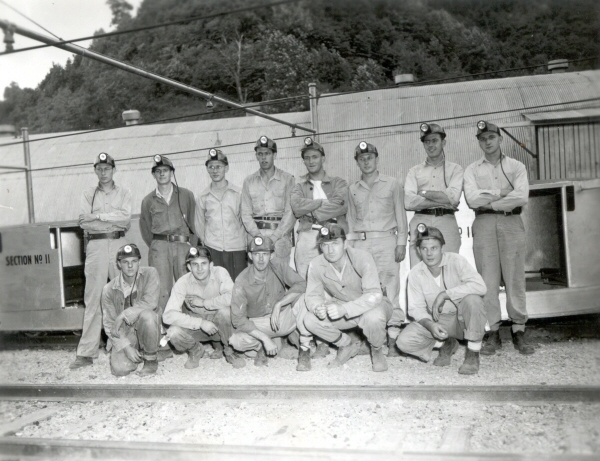 This is mine 22 of Bethlehem Mines Corp., Elkhorn Division. Old photo showing a tipple and loadout in Eastern Kentucky. Name appearing on the loadout is Clover Splint Coal, provided by Dave Zegeer.